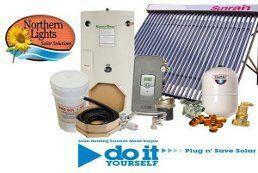 Northern Lights Solar Solutions is a leader in North America for supplying pre-engineered solar heating packages. 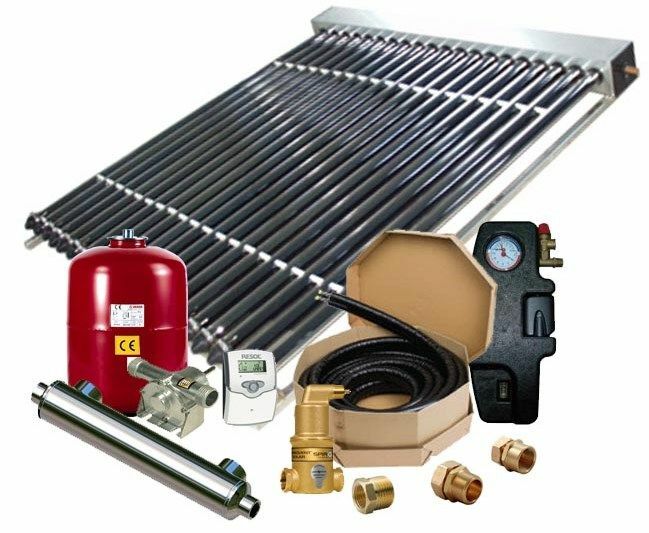 In the past solar heating installers simply looked for various component suppliers to piece together a solar heating system. The problem with this piece meal approach is that there is very little control in the end performance, and proper sizing of the components required a skilled solar installer to do the job properly. With Pre-Engineered solar heating packages, there is no guess work, the performance and reliability can be guaranteed and the systems can be installed in ½ the time. Quick to Install: No Soldering or Electrical work required we call this Plug n’ Save. Designed and Sized for Maximum performance & reliability using customized simulation software. All system are factory ready to be expandable to 2nd heating applications such as solar pool heating or solar home heating. Safety: Our Pre-Engineered systems use Zimlet High Temperature Solar expansion Tanks. Manufactured in Italy, these tanks are specific to solar heating application with high temp EPDM rubber bladders. Cost Effective: These solar heating packages are competitively prices and the installation cost is approx 1/2 of a traditional solar heating system. All our solar heating designs have been designed using the latest customized simulation software manufactured by Swedish Engineer Company, VelaSolaris. Each of our solar heating packages are is engineered in a virtual environment allowing us to provide customers with result driven simulation that are accurate to 5%. This means you can provide both accurate ROI’s as well as performance guarantees. This service is provided FREE OF CHARGE to all our customers. Our Solar Heating Packages are easy to follow and our instructions make it easy for any DIY to install without any prior knowledge of solar heating experience. We use only the most proven and reliable components in our pre-packaged system including German made RESOL controllers and pump stations with advanced features such as remote access capabilities through Internet or smart phones. Our solar water tanks are UL listed and are made here in the USA and use dual internal heat exchangers with 4.5 Kw electric element. All our solar heating packages come with pre-insulated stainless steel flex pipe for the fastest more reliable installations. Our pump stations ensure safe and efficient operation of the solar system.